McLaren road cars at lower price levels to compete with Audi R8 and Porsche 911 GT3. Became the 570S at £20k dearer than originally predicted, and 540C at £127k. First product of P13 project announced, named as the McLaren 570S (570 representing the PS), at £145,000. 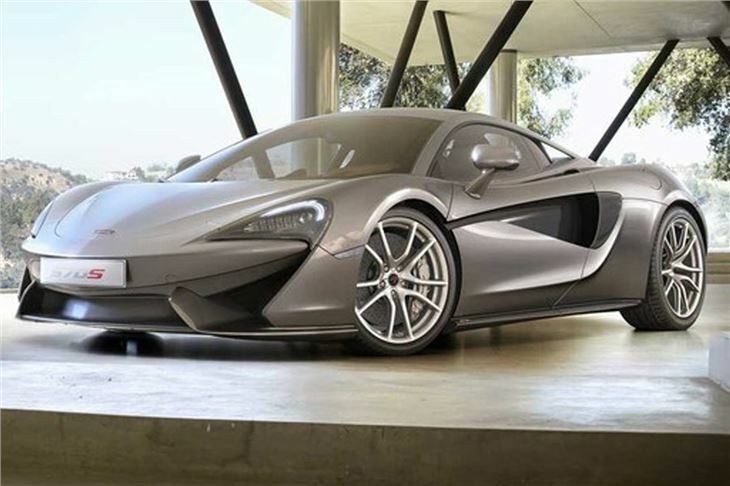 On 13th May 2014 the FSMG was told by McLaren MD Mike Flewitt that in September 2015 (Frankfurt Motor Show) McLaren would launch a sub-650S mid-engined road car at a lower price level of around £125,000 and more user-friendly features such as earier ingress and egress. Will have a Riccardo built V8 engine. Won't be as quick as a P650S, but will be more fun. In words of McLaren Automotive CEO Mike Flewitt: "P13 will be a very, very engaging sportscar to drive." The P13 project became two cars: the McLaren 570S, launched 31-3-2015 at £145,000 and the 540P at £127,000 launched later. In McLaran nomenclature C denotes 'Club', S denotes 'Sport' and 'LT' denotes Long Tail. 540, 570, 650, 675, etc. denote the power outputs in PS.